A decade ago, Mohamed Hage and Lauren Rathmell set out to change the way Montrealers get their fresh produce. 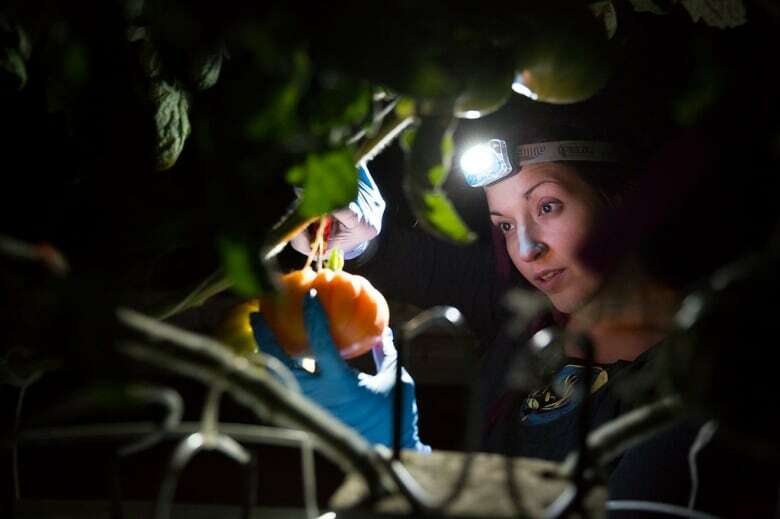 In a city that relies on massive long-haul truckloads of fruits and vegetables from around the world, they instead built a fully functioning greenhouse on the rooftop of a building. In the last 10 years their company, Lufa Farms, has expanded to open two more rooftop greenhouses. It’s grown to employ 200 people, offering fresh, locally grown produce directly to thousands of people in Montreal and beyond. 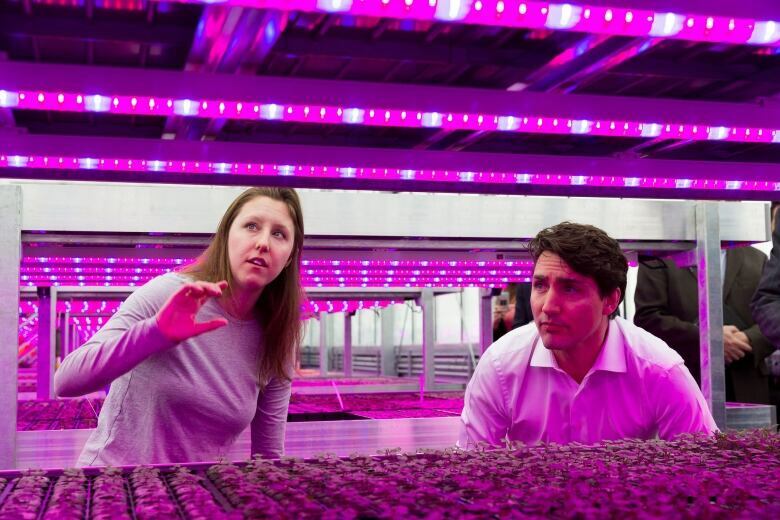 It has attracted a wide range of attention, from international investors to Prime Minister Justin Trudeau, who toured Lufa’s newest, largest greenhouse in the Montreal suburb of Anjou. Canada imports tomatoes and lettuce grown in American and Mexican fields, but at the same time, it’s a major exporter of greenhouse tomatoes and lettuce to the U.S.
That means thousands of semi-trailers — some heading north, some heading south — regularly crowd the highways, burning fuel and fouling the air, all carrying lettuce and tomatoes. A decade ago, Hage and Rathmell designed what they believe is a more environmentally responsible alternative, combining agricultural science and computer technology. 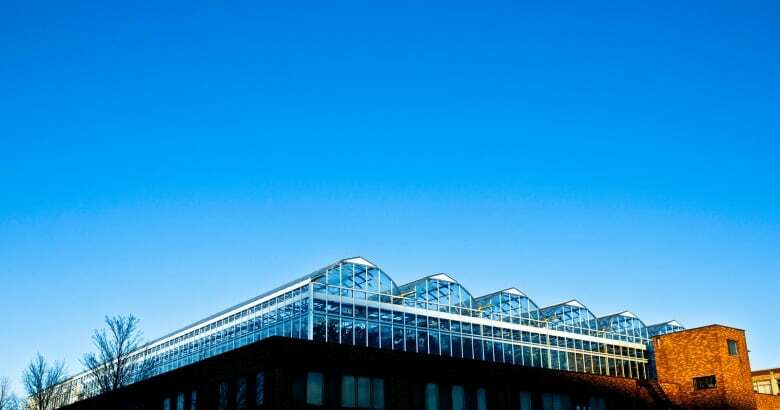 Their commercial greenhouse, built on the roof of a Montreal factory in 2011, was a world first. Soon after, they found another roof and built a second greenhouse, and in 2017, a third — each bigger than the last. Lufa Farms is a model Hage and Rathmell plan to take to the world. 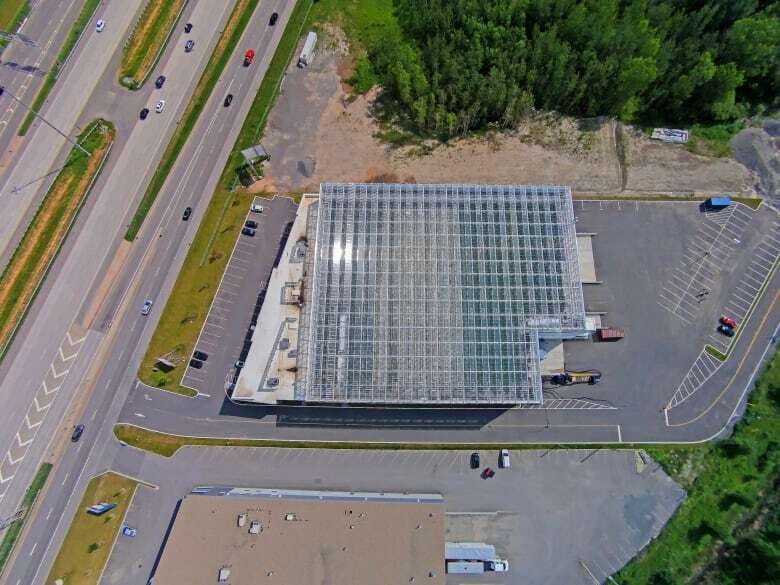 Their newest greenhouse covers nearly 6,000 square metres atop a factory in Anjou. It’s a high-tech wonder: a CFL football-sized field of perfect hydroponic heads of lettuce, moving on an automated grid, inch by inch, day by day, from seedling to maturity. Greenhouses, of course, are not a new idea. The ancient Romans planted seeds on soil-filled carts and rolled them into the sunshine, using sheets of clear mica to keep the seedlings warm. In northern climates, some version of a greenhouse has been used for centuries. In Canada, greenhouses are the fastest growing sector in agriculture: a billion-dollar industry that employs 12,000 people. Most of the country’s 900 commercial vegetable greenhouses are built in fields outside of urban centres, on agricultural farmland. 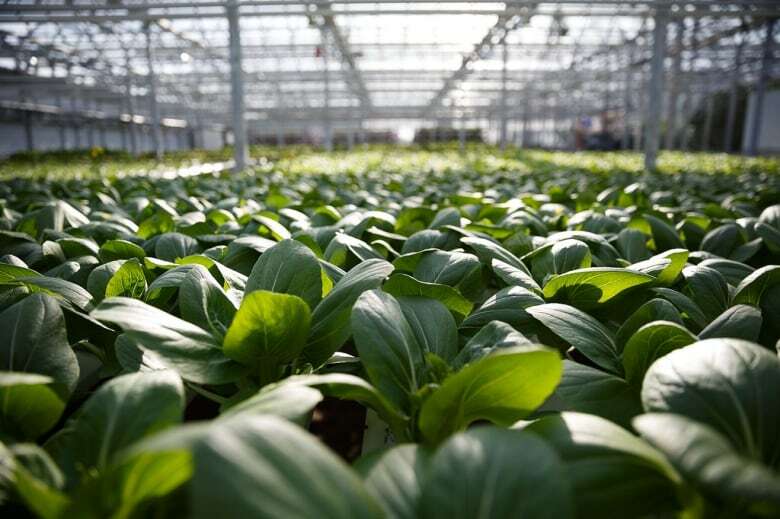 By building their greenhouses on rooftops, however, Lufa Farms is able to grow its produce just kilometres from a huge, hungry and urban client base. Rathmell says from the start, their idea was to take the travel out of food production, reducing the ecological footprint by growing the food a spitting distance from the people who need it. Both Hage and Rathmell, partners in life as well as business, have farming in their blood, if you go back a couple generations. Rathmell’s grandparents farmed in the U.S., while Hage grew up in Lebanon, where his grandparents also farmed. A decade ago, in their early 20s, Hage was working in information technology, while Rathmell was completing her degree in biochemistry at McGill University. They grew herbs, lettuce and cucumbers under a light in their apartment. They were starting to plan their future, intent on finding a way to stay in Montreal. Rathmell took Hage to the Phytotron, a greenhouse complex on the roof of McGill University’s Stewart Biological Sciences Building. Hage said it seemed obvious that if a small, research greenhouse worked on top of a building, there was no reason why a commercial-scale one would not. Hage and Rathmell began poring over satellite images of Montreal. They divided the city into sections and bore down, rooftop by rooftop, neighbourhood by neighbourhood. “In 2009 and 2010, we were pretty much driving around, snapping photos of buildings — trying not to be caught by security,” Hage says. They’d bring the photos back to engineers to assess whether the building was solid enough to withstand a whole new level of activity on its roof. It was a new concept to everyone. It was an alien concept to factory owners, too. One building owner Hage approached told him he did not want him near his roof because he didn’t want anything to do with tractors and manure. The couple finally found a factory owner in the neighbourhood of Ahuntsic who was willing to take them seriously and take the risk. He rented them his factory roof so they could build their first greenhouse. It was a win-win situation. With a new layer of insulation on the roof — the greenhouse — the building’s heating costs plummeted, and the owner got rent money for what had been simply lost space. Today, Lufa Farms’ 200 employees include people who pick the lettuce and cucumbers, along with agronomists and engineers and software geeks. There are trucks and electric cars for deliveries. Rathmell and Hage are self-described “data nerds” for whom apps are just as fundamental as nutrients, pest control and composting. “We are applying a very scientific and technological approach to growing food,” Rathmell says. “You won’t see any two-legged robots,” says Hage, describing the new Anjou greenhouse. Rathmell can tap into apps on her phone to control the lights and heat in the three greenhouses. Lufa’s software team has also developed specialty apps — including one to track aphids. “We have these little hotspot maps to see — are the aphid populations increasing, [or] are they decreasing?” Rathmell says. 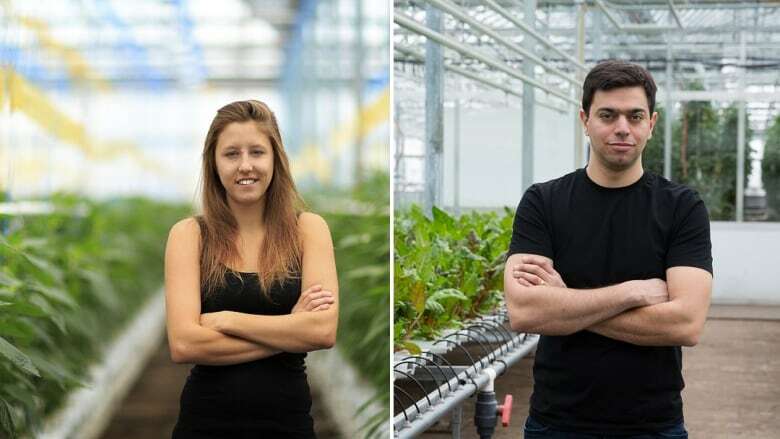 The homegrown business has a lot in common with all the other IT startups in Montreal: Lufa Farms has the same open office, located beneath the Ahuntsic greenhouse, with the same espresso machines and the entrepreneurial hustle. That’s where the mechanics of its distribution system are worked out. Consumers sign up on the website, committing to spending a minimum of $15 per week. Lufa’s customers can pick and choose what they want from that week’s list of fresh vegetables. Aside from what is produced on the rooftops, Lufa also sells dozens of other products, including organic eggs and meat, cheese and pasta sauce, all sourced from small Quebec farmers and artisans. Once the weekly orders are in, drivers deliver them to more than 400 drop-off spots in Montreal and Laval: Corner stores, coffee shops, bookstores — even a chiropractic clinic. 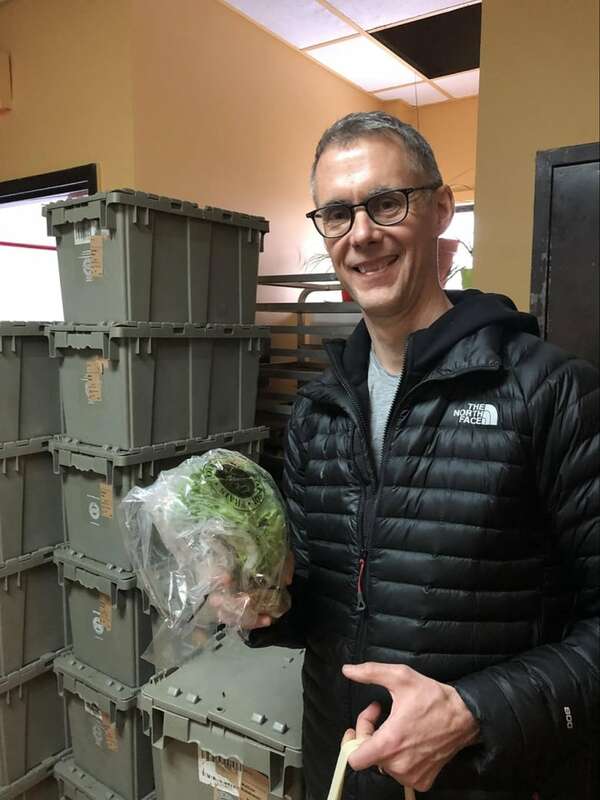 Lufa customer Matthew Nowakowski picks up his weekly order on Friday afternoons in the backroom of a bakery a few blocks from his home in the Notre-Dame-de-Grâce neighbourhood. “A head of lettuce is $2.75, so it might be a little more expensive than what I am getting in the grocery story,” says Nowakowski. Rathmell has given lectures about Lufa Farms at Harvard University. Hage’s TEDx Talk has been viewed more than 125,000 times. In March 2017, Prime Minister Justin Trudeau toured the newest greenhouse in Anjou and harvested a bag of vegetables to take back to his family in Ottawa. In the last two years, Lufa’s sales have doubled. A Quebec trade union fund has pumped money into the company, as have Canadian and American investors. After a decade of refining their original experiment, Hage and Rathmell think a business model and a package of technology able support it are ready for export to other Canadian cities and beyond. “We have proven that the model is financially viable and is growing at a healthy rate,” says Hage. The newest greenhouse cost $5 million to build, “but running it and operating it is cheaper than a traditional farm,” he says. “We really don’t see any conflict between economy and ecology, as long as you are willing to be open to new ideas.